The American Veterinary Medical Association, which represents more than 80,000 veterinarians, is one of the most respected and trusted voices on animal health and welfare issues. In 2006, the AVMA created its Animal Welfare Division to focus on the great challenges animal welfare issues present to the profession as well as to producers. Dehorning should be done at the earliest age practicable. Disbudding is the preferred method of dehorning calves. As usual, this AVMA Backgrounder is extensively researched and well thought-out. Another AVMA resource to look at is their video on the organization's Policy on Pain Control for Dehorning. We've blogged about this video before but it's worth revisiting. What are your thoughts about AVMA's policy and research on disbudding and dehorning of cattle? First of all, I think it’s important to point out that dehorning does not necessarily involve cutting horns “out of [the] skull.” A calf’s horn buds don’t attach to the skull until around eight weeks of age. Until then, they are free-floating and can be easily and less painfully removed by the application of caustic paste or a hot-iron, with no cutting at all. The American Veterinary Medical Association, arguably the most credible proponent of animal health and welfare in the United States, has repeatedly voiced its support for the practice of dehorning, provided steps are taken to reduce pain and distress. PETA might have more credibility with the dairy and veterinary communities if it encouraged the adoption of more humane methods of horn removal, such as early-age disbudding. What do you think of PETA’s proposed welfare standards for dairy cattle? In 2008, when I was working on product development for an international milk replacer company, I had the opportunity to acquire the H.W. Naylor Company. This 80-year-old, upstate New York manufacturer of topical livestock medications is well known for its Udder Balm, antiseptics, hoof treatments and other products that improve animal hygiene and comfort. Having grown up on a farm, where I learned to do hot-iron dehorning, and having worked in the dairy business for more than 20 years, I was familiar with most “Dr. Naylor” products, but not its dehorning paste. So, like anybody buying a business, I did some research. What I found baffled and concerned me. I was surprised to learn dehorning paste was among the least popular methods of horn removal among cattle producers. Dehorning is a necessary animal management practice, of course, and, aside from raising hornless (polled) animals, the vast majority of producers dehorn their cattle. But most choose hot-irons, saws, Barnes, keystone dehorners or obstetrical wire for this procedure. Why, I wondered, were these more invasive, labor-intensive methods preferred when paste seemed so much easier? I was also frustrated by the scarcity of dehorning information on the Internet. Pulling together the various research papers, articles, guidelines, statistics and professional recommendations took many hours. If there was a central online clearinghouse for all things dehorning, I couldn’t find it. Around the time I was researching the dehorning market, the animal welfare movement was gathering steam, particularly in respect to animal handling practices and food safety. Food, Inc., a blistering documentary on commercial farming, was playing in theaters. Several national food recalls were going on. The American Veterinary Medical Association was updating its Animal Welfare Policy regarding dehorning and castration. Then came the hidden-camera exposés of, among other things, dairy farm workers burning horns off animals that were clearly too old for that procedure. All these incidents only served to fan the flames of mistrust in a culture where 98 percent of people no longer have direct ties to agriculture. 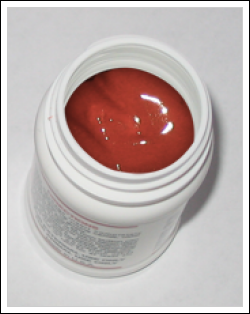 I realized a product like Dr. Naylor Dehorning Paste – which offers a bloodless, yet effective method of horn removal – might be an attractive alternative for livestock producers looking to adopt more humane animal handling practices. And keep their farms off the evening news. educate producers and others about the benefits of disbudding calves at an early age as advocated by the American Veterinary Medical Association and many other organizations. Clearly, if more producers start using dehorning paste, my company will benefit. But it’s even more important for producers and consumers to know the facts. What do you like or dislike about this Web site?